Here is simple, easy to use 'Online Password decoder' for DynDNS - a popuar Dynamic DNS management solution offering enterprise-level DNS performance and reliability. 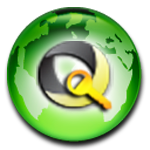 This online tool will help you to instantly recover your lost/forgotten DynDNS client password. It is easy to use, simply copy the encoded password from your stored DynDNS password file 'config.dyndns' (follow the detailed instructions) and paste it in the below text box to get the original password. How to find DynDNS Password? Here are simple instructions on how to find your saved DynDNS password. Once you find the above configuration file, open it in Notepad and copy the stored password after "Password=" text (for example, here it is '0053380e310624'). Next paste this copied password in the above text box and click on 'Decode Password' button to get your original DynDNS Password.